It’s funny, in my mind my white Christmas tree is decorated very traditionally. It dawned on me that my version of traditional and your version of traditional are probably two very different things. Small stuffed animals from the 70’s don’t scream Christmas tradition to you? 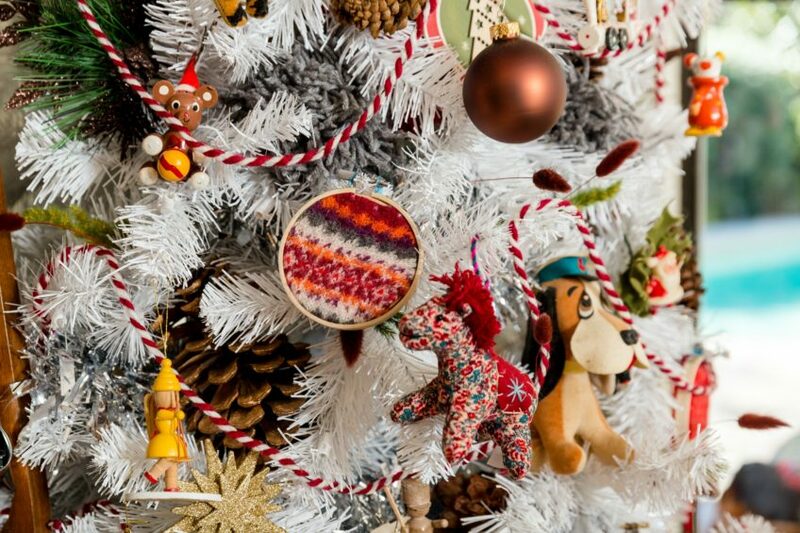 How about Recycled Sweater Christmas Crafts? Maybe it is the color scheme and the small traditional style wood ornaments that gave me that impression. Either way can you guess which kind of Treetopia White Christmas Tree (sponsored) this is? There might be a $100 in it for you if you can. 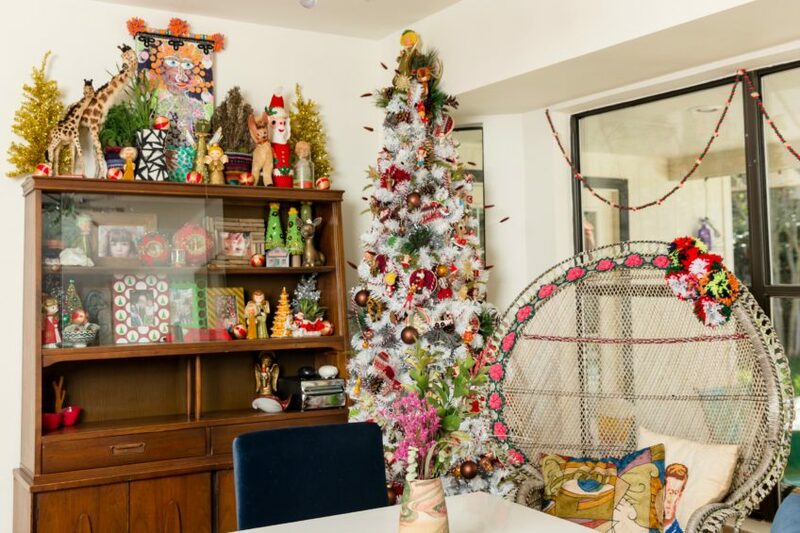 Pop over to the Treetopia Blog (sponsored) and take a guess. Speaking of my white Christmas tree, did you notice the fancy tree skirt? Over on HGTV I’m chatting about all things Ugly Christmas Sweater. 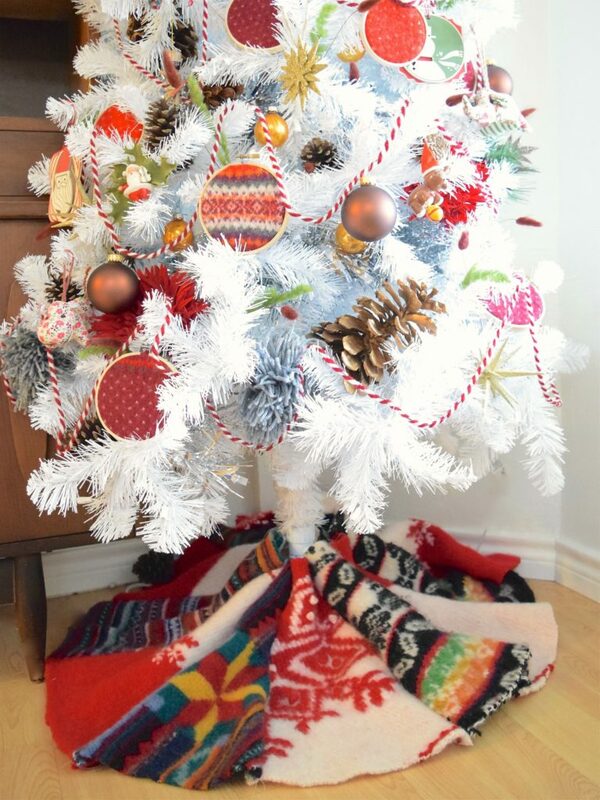 Whatcha think about this Felted Sweater Tree Skirt? Pretty nifty hugh? 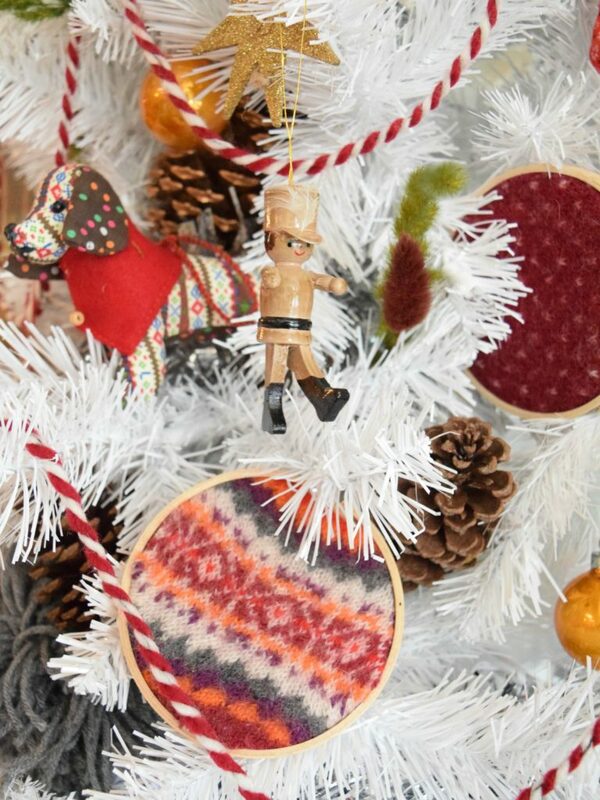 I made some matching Felted Sweater Ornaments too. Did the moths get at your favorite wool sweater? No problem. Kids outgrow that sweat grandma knitted? Make a keepsake ornament. So many options for these sweaters. Mine are wool and felted, but that is not necessary. Full instructions on HGTV. 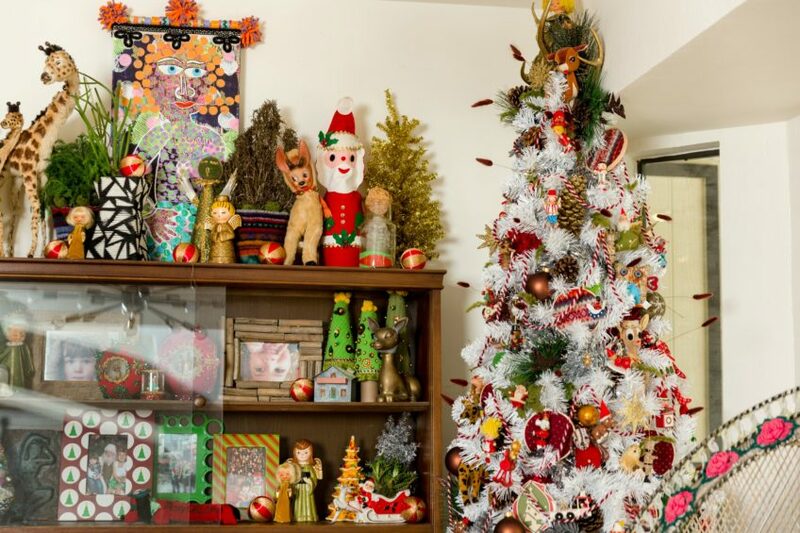 So take a guess on Treetopia and get crafty on HGTV. Let me know if you win anything or try out any of the projects! Please note the Treetopia portion of this post was sponsored. I was compensated and given free trees, but all opinions are my own. Posted December 2, 2016 & filed under Christmas, Crafts, Holidays, Recycled Crafts. Hey! Just discovered your site through Apartment Therapy. Love the color and fun! Have you ever made ornaments from alcohol ink? Super easy and fun! We got married on 1/6 last year, which is the twelfth day of Christmas. For favors, we had a tree decorated with ornaments (the clear glass ones from craft stores) we made with alcohol ink and guests could choose an ornament. We tried different techniques of applying the ink, from sponging it on to blowing on drips through a straw. Really great results with minimal effort! Ya know I’ve not played that much with alcohol inks. I tried to make my own once which I was going to catch on fire via a video I saw and it was a craft fail so I got discouraged. I love the look and really need to try it again.